Which gets your vote at every summer picnic and barbecue? I have ALWAYS been a potato salad girl (this recipe is by far one of my favorites). I just couldn’t bring myself to touch coleslaw with a ten foot pole. The watery, sour pile of mush that usually showed up at gatherings just wasn’t for me. 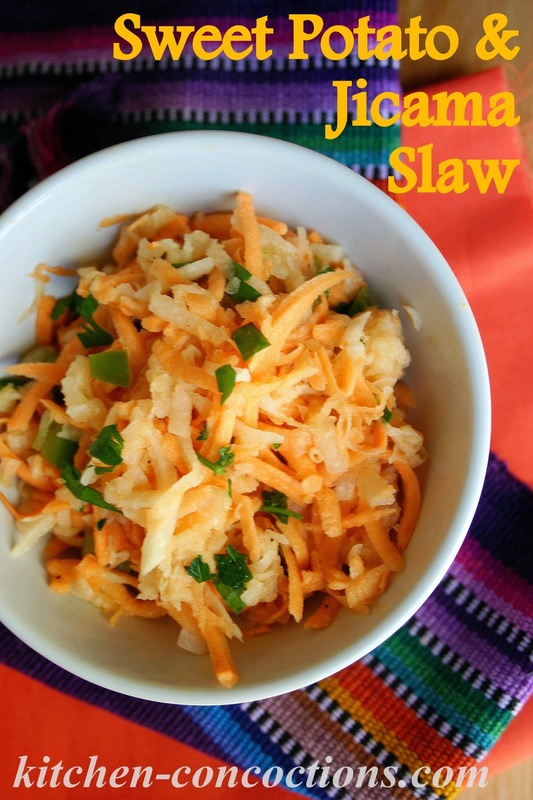 That is until I started making my own slaw and discovered that there was such a thing as a good, no make that, a great slaw! 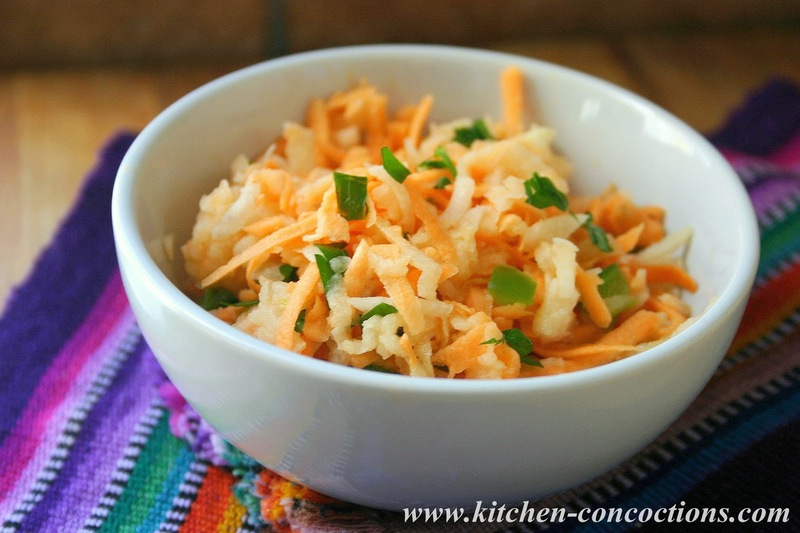 In a medium sized bowl, stir together prepared sweet potato, jicama and jalapeno. Set aside. 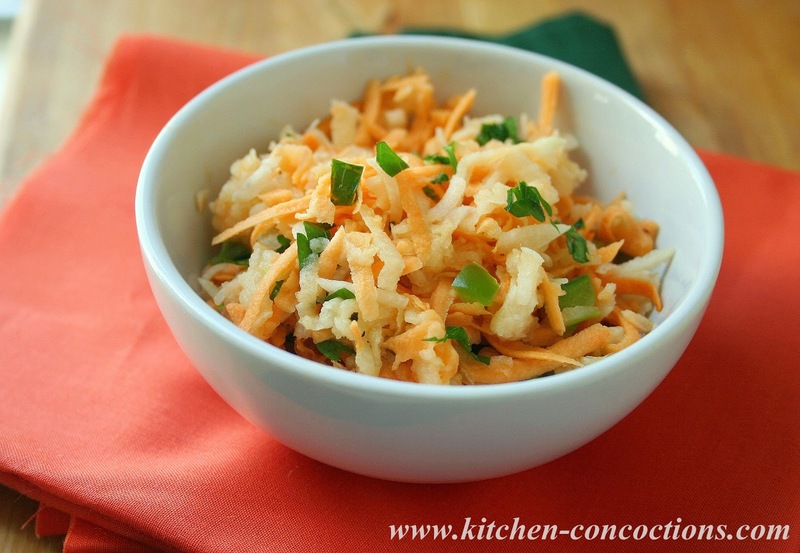 In a small bowl whisk together remaining ingredients, to form dressing. Pour dressing, as desired, over slaw and toss to combine. Serve immediately, as desired, or refrigerate until ready to use.